The Log received so many Dog Aboard submissions we decided to print a special-edition spread of a few notable water-loving doggos. 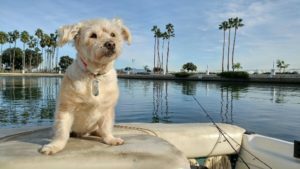 If you have a “fur mate” who would like to be featured in an upcoming issue, please email photos to editor@thelog.com or address submissions to our office at 18745 Bandilier Circle, Fountain Valley, Calif. 92708. 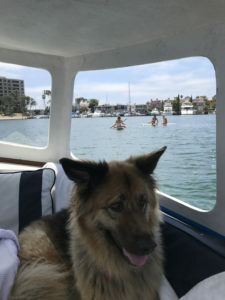 Keeping a watchful eye on her girls as they paddleboard is one of Bella’s duties as a boat-loving pup. 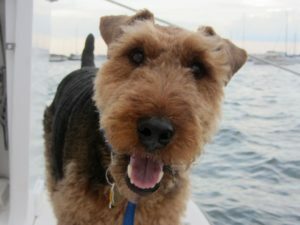 A rescue who found his forever home after being re-homed at least six times, Charlie Brown is an energetic Welsh terrier who loves boating on his 34-foot Catalina Islander powerboat. 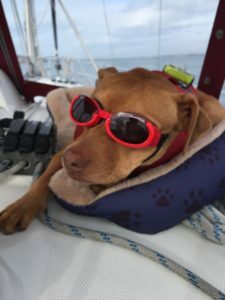 Aboard the Hunter 49 sailboat, Heron, Enzo, a rescue pooch enjoys visiting ports from San Diego to Santa Barbara in style. 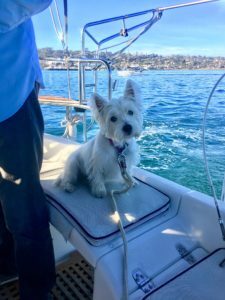 Always ready for an adventure, Mango, a 6-year-old West Highland terrier loves sailing and has to be restrained from jumping on channel markers to chase sea lions. 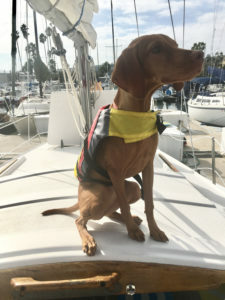 Vesting up in a lifejacket takes place as Mia, a 6-month-old Vizsla, prepares to castoff from Dana Point Harbor. With the wind in his fur, Robbie fishes in Coronado, a resort town on San Diego Bay’s peninsula known for surfing and sunbathing. 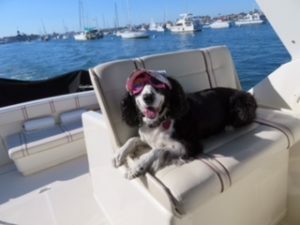 Her family’s 33 Tiara is her favorite place to be as Sophie, an English springer spaniel, lazes on the deck in her hat and sunglasses. 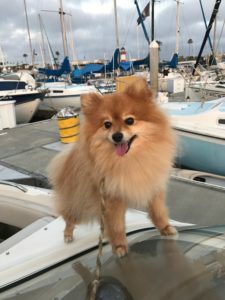 An 8-year-old Pomeranian, Yogi has been raised on boats and kayaks. He loves lounging on the boat deck and listening to the sea lions!